Liverpool manager Jurgen Klopp believes his players have to summon the spirit of Rocky Balboa if they are to close the gap to defending Premier League champions Manchester City. The Reds boss chose to reference the plot of Rocky IV in his response to how his side would go about bridging last season’s 25-point deficit to Pep Guardiola’s side. In the Sylvester Stallone film the eponymous hero wins a 15th-round knockout against remorseless 100-win heavyweight Ivan Drago, who had previously killed Apollo Creed in a fight in which Balboa was in his fellow American’s corner. “We are still Rocky Balboa, not Ivan Drago,” said Klopp. “We are the ones who have to do more, fight more, and that must be our attitude. “In the moment someone thinks we reached already a point then that is when you start disappointing yourself and the people around you. “Why should we do that? We didn’t reach anything so far. We went to finals. Should we go to a final again we should try to win it this time. 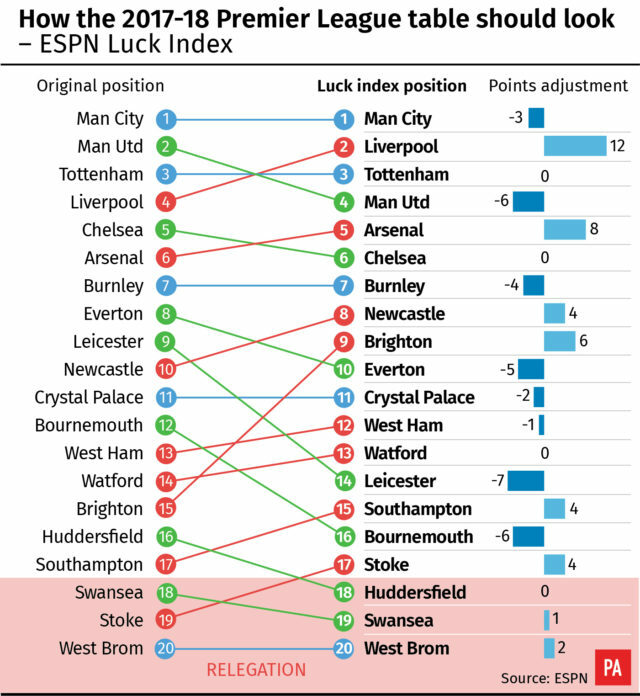 A recent survey revealed Liverpool were the Premier League’s unluckiest club last season, with decisions costing them 12 points. And while Klopp would like that fortune to change he knows there are other factors which are more important. But having spent £170million this summer on midfielders Naby Keita and Fabinho, goalkeeper Alisson Becker and Xherdan Shaqiri Liverpool are seen as the genuine rivals to City for the title. “I know a lot of people think that because we were active in the transfer window but that is part of the business, it doesn’t decide anything,” added the German ahead of Sunday’s opener at home to West Ham. “There would always be a point where we spent a bit more money. The last few years, I have sat here and had to defend our transfer behaviour, that we sold more than we brought in, but that all made sense. “We had to create a squad which is strong enough and wide enough to cope with the Premier League and to be as successful as possible. Step by step, we have come closer. “We want to be, it has been clear for ages, champion of England and winning the league but how can we say that? What about United? What about the other clubs? “The champions Manchester City did not lose any player and brought in (Riyad) Mahrez, so it doesn’t make them weaker. They are top-quality. “We have to be more consistent, we know that. We have to be more clinical in the right moments, more aggressive in the right moments. “We can improve everything: we can improve our offensive game, we can improve our defensive game. “We have to try to reach the highest, that is always my expectations.